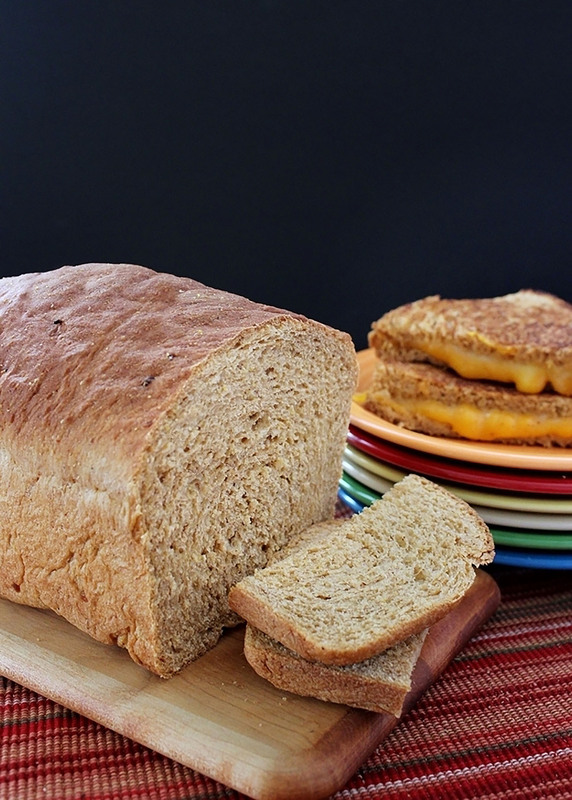 Try serving this bread with a favorite Tex-Mex dish, or use to make grilled cheddar cheese sandwiches. Have water at 80°F and all other ingredients at room temperature. Place ingredients in pan in the order specified in your owner’s manual. Select basic cycle and medium/normal crust. Do not use delay timer. Check dough consistency after 5 minutes of kneading. The dough should be in a soft, tacky ball. If it is dry and stiff, add water, ½ to 1 TBSP at a time. If it is too wet and sticky, add 1 TBSP of flour at a time. See our Bread Machine section for more helpful tips and information. Use ingredient amounts listed for medium loaf, combine yeast, 1 cup flour, and other dry ingredients. Combine water, beans, and oil; heat to 120-130°F. Hand-Held Mixer Method: Combine dry mixture and liquid ingredients in mixing bowl on low speed. Beat 2 to 3 minutes on medium speed. By hand, stir in enough remaining flour to make a firm dough. Knead on floured surface 5 to 7 minutes or until smooth and elastic. Use additional flour if necessary. Stand Mixer Method: Combine dry mixture and liquid ingredients in mixing bowl with paddle or beaters for 4 minutes on medium speed. Gradually add remaining flour and knead with dough hook(s) 5 to 7 minutes until smooth and elastic. Food Processor Method: Put dry mixture in processing bowl with steel blade. While motor is running, add liquid ingredients. Process until mixed. Continue processing, adding remaining flour until dough forms a ball. How can anything “fried” be “fat-free”? Great question! You can find ‘fat-free’ refried beans at most grocery stores. I believe that it’s how they process the beans. They are not necessarily ‘fried’.